The Thomson Reuters ISI Web of Science citations database (hereafter ISI) category of Economics has one of the largest numbers of journals, at 304, of any ISI discipline, and hence has wide coverage. 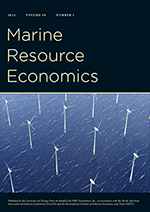 The paper analyses the leading international journals in the Economics sub-disciplines of Energy, Environmental and Resource Economics using quantifiable Research Assessment Measures (RAMs), and highlights the similarities and differences in alternative RAMs. The RAMs are based on alternative transformations of citations taken from the ISI database. Alternative RAMs may be calculated annually or updated daily to answer the perennial questions as to When, Where and How (frequently) published papers are cited (see Chang et al. (2011a, b, c)). The RAMs include the most widely used RAM, namely the classic 2-year impact factor including journal self citations (2YIF), 2-year impact factor excluding journal self citations (2YIF*), 5-year impact factor including journal self citations (5YIF), Immediacy (or zero-year impact factor (0YIF)), Eigenfactor, Article Influence, C3PO (Citation Performance Per Paper Online), h-index, PI-BETA (Papers Ignored – By Even The Authors), 2-year Self-citation Threshold Approval Ratings (2Y-STAR), Historical Self- citation Threshold Approval Ratings (H-STAR), Impact Factor Inflation (IFI), and Cited Article Influence (CAI). As data are not available for 5YIF, Article Influence and CAI for one of the 20 journals considered, 13 RAMs are analysed for 19 highly-cited journals in Energy, Environmental and Resource Economics in the ISI category of Economics. Harmonic mean rankings of the 13 RAMs for the 19 highly-cited journals are also presented. It is shown that emphasizing the 2-year impact factor of a journal, which partly answers the question as to When published papers are cited, to the exclusion of other informative RAMs, which answer Where and How (frequently) published papers are cited, can lead to a distorted evaluation of journal impact and influence relative to the Harmonic Mean rankings.